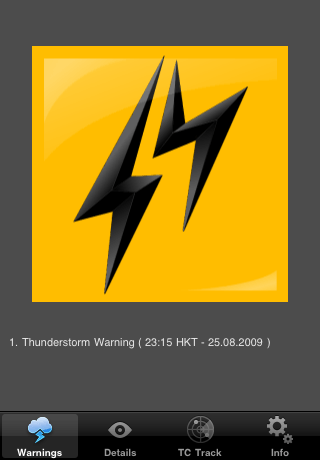 HKWarnings is my first attempt at an iPhone app. 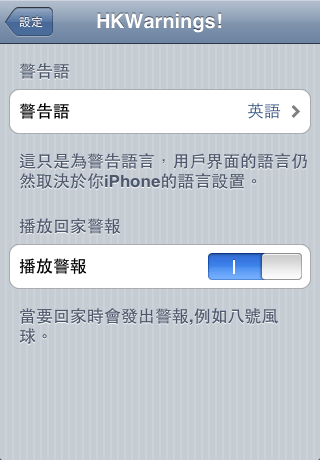 Just to learn about iPhone development and the process of getting an app on the AppStore. 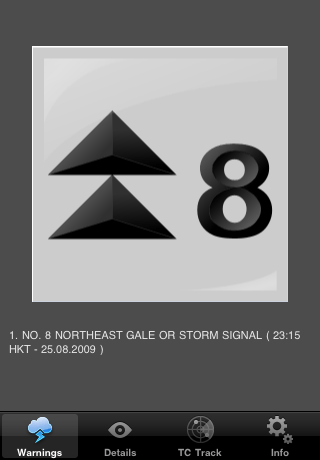 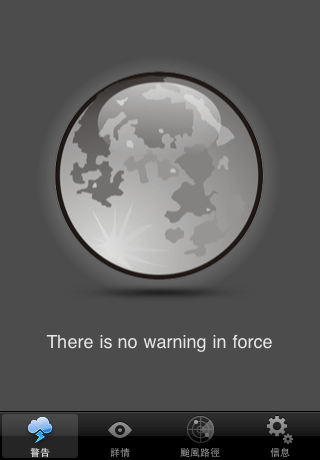 It’s a simple app that displays the current Hong Kong Observatory weather warnings. So you can see if there is a T8 and it’s Time To Go Home. 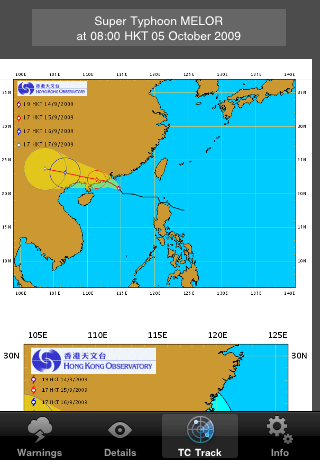 Also, if there is a nearby typhoon, it displays the Tropical Cyclone Track images. 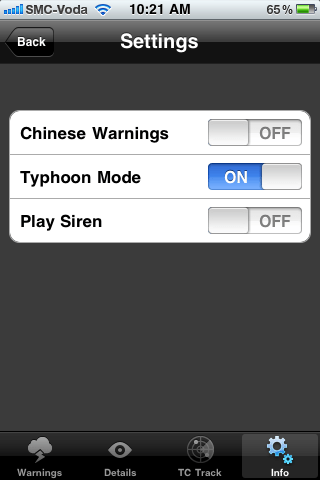 There is another preference there – for playing a warning siren if there is a T8 or above or a Black Rain warning. 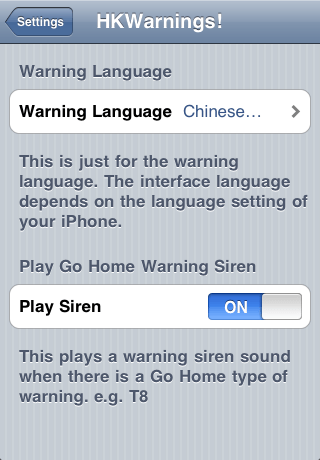 You can also change the language preference here too. 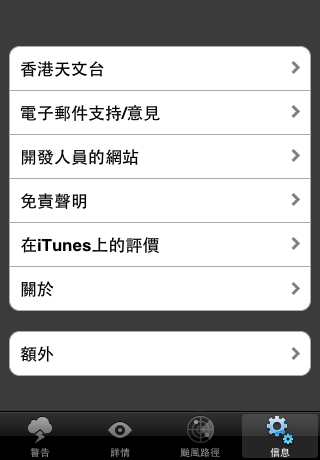 Changes take effect the next time you start the app. 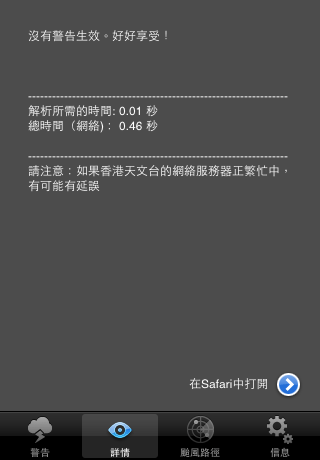 You can also register for push notifications. 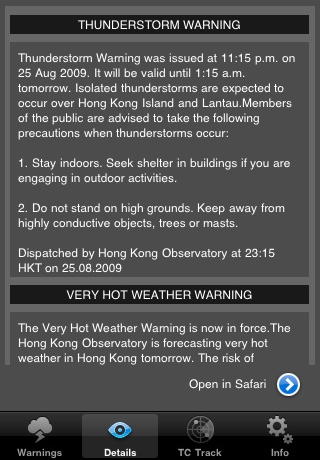 You will receive a push notification when the HK Observatory issue a new weather warning.